This is probably going to be the reality behind the driverless cars the car industry and the media have been hyping. In this short clip from The Young Turks, the hosts Ana Kasparian and Brett Ehrlich report and comment on the story that Domino’s Pizzas are planning to replace their pizza delivery people with driverless cars. It’s only a trial run at the moment. They intend to go through their customers at random, and ask them if they’re happy with their pizza delivered by a driverless car instead. The vehicle will take a maximum of four pizzas to them. To get their orders, the customers will have to punch in a code into a keypad on the car. After a bit of silly banter about the number of pizzas people usually order, they get down to discussing what this really represents. Kasparian says that when they usually talk about American jobs being lost, they’re usually reporting on corporate outsourcing. But automation is the other way in which people are losing their jobs in America. Kasparian she states that she isn’t against technological innovation, but points out that not only are people going to lose their jobs as pizza delivery staff, but they’re also going to lose an opportunity to acquire useful skills to succeed in a very competitive jobs market. She also states that we also need to give young people proper, affordable college education as well. Domino’s has released a statement saying that they have at the moment 100,000 pizza delivery people. They hope that when this comes in, they will be able to find other positions within the company. The Turks end by saying that they hope so too. To be fair, the BBC has carried news and documentary programmes, which forecast that in the coming decades, 1/3 of all retail jobs will be lost to automation. Nevertheless, whenever you see driverless cars appear, the overwhelming message is one of boundless enthusiasm, with the presenters raving about the technology. Clarkson went on a driverless truck on Top Gear, and went almost berserk with excitement when it started to make its way without human guidance. Driverless trucks are due to be trialed on roads in Britain, according to a report in the I newspaper. They’re going to be tested in groups of three. I talked about this technology and its threats to jobs with a friend a little while ago. He told me that there are about 40,000 truckers in Britain, so that’s 40,000 people, who stand to lose their jobs. Counterpunch has run an article on this, stating that there’s no desire for the cars from ordinary people. They’re being hyped and pushed by the insurance companies, who hope that their appearance and promotion as being safer than human driving will allow them to put up their premiums for people, who won’t use them. What also struck me was how cold, lonely and impersonal the future represented by this type of automation is. In much SF depictions of an automated future, the machines performing human jobs also have something like human cognitive abilities and personalities. Long term 2000 AD readers will remember Dredd’s little robotic companion, Walter the Wobot. The character had a lisp and was a gentle soul, providing a contrast with the brutal machismo of Mega City 1’s toughest lawman. Or the robots in the Robohunter strip. These were extremely strong characters with all the traits, foibles and psychological failings of the human creators, including stupidity, thuggishness and all-round criminality. Like the God-Droid, the automatated underworld boss, a machine version of Marlon Brando with a sign stamped across its stomach reading ‘Omerta’, or the incendiary temperament of Molotov, the automatic cocktail-shaker and head of the Amalgamated Androids’ Union, who lectures Spade on the evils of human exploitation. Or Ro-Jaws, a chirpy, bolshie, foul-mouthed sewer droid, and his more dignified mate, the war-robot Hammerstein, and the moronic and sadistic Mek-Quake, the main characters in the Robusters strip, and its spin-off, ABC Warriors. These fictional machines all had real, authentic characters. They had minds and characters like human beings, even if their bodies and brains were of metal and plastic. And so the strips’ writers could use them to make serious satirical points amidst the cartoon violence and mayhem. From the first, the ABC Warriors strip included a bitter commentary on the horrors of war, and the way soldiers lives were sacrificed by an officer and political class insulated from the actual fighting. The fact that robots were machines, with no rights, also allowed 2000 AD to explore real issues like slavery, racism, and institutionalized discrimination with deliberate, and sometimes very obvious parallels to the experience of Black Americans before Civil Rights. But the real machines taking our jobs won’t even have personalities, friendly or otherwise, with which we will interact. Admittedly, there isn’t much social interaction with the mail and other delivery people, who turn up at our doors. The conversation is naturally very limited. But with these machines, we won’t even have that. Just a car turning up, following by the customer trudging out to punch in a code to open the doors. Silent, efficient, and coldly impersonal. And this is going to make the atomization and despair of contemporary western, and particularly American society, much worse. I’ve also come across a series of videos Chris Hedges has also made, in which he talks about the new American Fascism, and specifically the Religious Right. I think Hedges is probably an atheist, from some of the things he has said about the religious right promoting magical thinking. But he has a divinity degree, his father was a politically radical Presbyterian clergyman, his mother was also a divinity student, and so Hedges doesn’t hate religion or regard the antics of the religious right and the frauds and bigots leading it as normal. Indeed, he is at pains to show that, for all that they scream that they represent traditional values, they don’t. He states in one video that they’re as far from traditional Christian religious doctrine and practice as the religious liberals they despise. One of the points he makes in these videos is that these bigots have been assisted in their rise to power by the social atomization of modern American society. In places like LA there are no pavements, so people can’t walk down the street. You have to drive. And so people drive straight to work, and then straight home. They don’t really meet or interact with anyone else. And the religious right has exploited this atomization, this alienation, by offering people a community in the ideologically enclosed space of their megachurches. And the people they target are those who have suffered from the attacks of neoliberalism – people in the rustbelt, who have seen their jobs decline and their communities fall into poverty along with them. Other observers of the American Right have said the same. 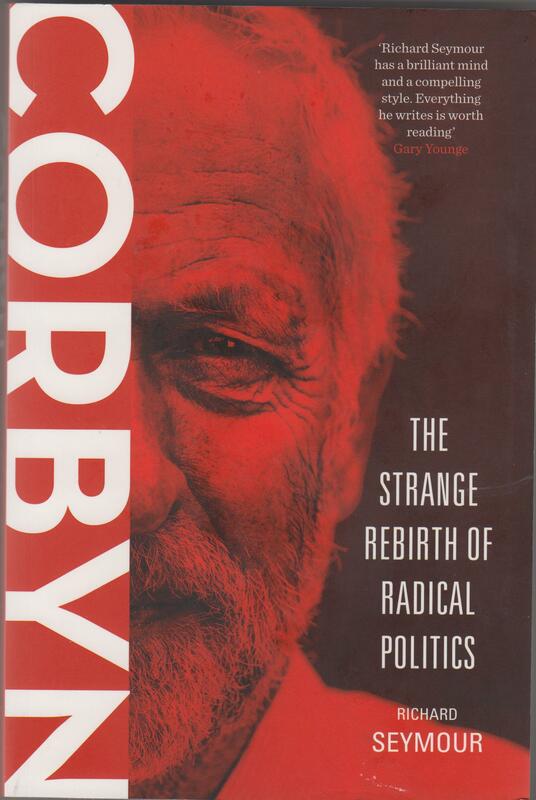 One of the essays in the book attacking the Neo-Cons, Confronting the New Conservativism, states that these b*stards are able to get away with promoting bigotry and racism, because of the decline in genuine, working class communities. The jobs are going, and White flight has meant that Whites have moved out of racially mixed areas in the centres of town to the suburbs. Community centres have also closed, and the attack on trade unions has also destroyed this pillar of working class community. The result is that the individual is left isolated from both people of other ethnic groups, and similar people to him- or herself. He or she goes to work and comes home. This isolation leaves them vulnerable to the vile propaganda spewed at them by bigots like Jerry Falwell and the rest of the rightwing televangelists that were thrown up by the 1980s. This atomization and alienation is one of the fundamental characteristics of totalitarian societies of the Left and Right. In the Soviet Union, society was arranged so that people were deliberately isolated from each other. The only way of keeping in contact and forming communities and relationships, at least officially, was through the party organisations. Ditto with the Third Reich. Hitler boasted that they would never leave the individual alone, not even in a poker club. And the driverless cars also remind me of another dystopian vision of the future, that of Ray Bradbury’s The Pedestrian. This is a tale by one of the great masters of SF, in which a man walking late at night is stopped and picked up by a police car. The car’s not crewed. It’s entirely automatic. Bradbury describes the computer punchcards being processed as the machine thinks. The machine asks the man why he’s on the streets so late at night. He replies simply that he just wanted to take a walk. Already there are places in some American cities, where you can’t walk. Mike found this out a few years ago when he visited friends in California. You had to drive everywhere, even down to the local stores. Which means that the cold future of The Pedestrian really ain’t that far away. Remember the advert for Jeremy Corbyn that went around a week or so ago, which showed a group of very middle class people sneering at Corbyn and his supporters, while showing up how each and everyone was a hypocrite? Here the American comedian, Jimmy Dore, comments on the advert and why it’s so good. The various characters featured sitting round a dinner type, guzzling wine and moaning about how modern kids want something for nothing, are all portrayed as having done exactly the same themselves. Such as a man moaning about how students don’t want to pay for their university tuition, when he himself never paid for his. The Tories and their supporters went berserk, claiming it was just bourgeois stereotypes, and that ‘Lenin would have been so proud’. As Dore points out, these aren’t stereotypes. Mike also made the point in a blog post he put up about it that, for all their whining, the Tories hadn’t actually shown that these ‘bourgeois stereotypes’ were wrong. They clearly aren’t, as you can see by reading the Daily Heil or some of the letters from right-wingers in the press. There was one from a woman in the I newspaper a week or so ago which claimed that Corbyn was ‘bribing’ students with promises to make university education free. Dore also goes on to discuss neoliberalism and globalism, and how they approach the economy the wrong way round. This should all be familiar to people who read Mike’s blog, and Another Angry Voice and Mainly Macro. He points out that these came in with Ronald Reagan. Neoliberalism wants taxes cut to give more money to those at the top. But this doesn’t work. F.D.R. showed that with his New Deal. If you give money to working people, they spend it and stimulate the economy. If you give it to the rich and the bosses, they don’t do anything with it. The money just sits in their bank accounts and stagnates. As for globalism, this means simply taking domestic – American, in this case – jobs and offshoring them to another country where the people are even more desperate than in America. The corporation profits, but not America, because the profits don’t come back over here. He also attacks the trend for great mechanization, and the craze for driverless cars and robots at McDonalds. This suffers from the same problem, as driverless cars and robots don’t spend money. As for domestic poverty, a half of all American wage earners are paid less than $30,000. This is in the richest country in the world. And Dore also points out that while Ronald Reagan introduced neoliberalism – a misnomer, as there’s nothing ‘liberal’ about it, it was Bill Clinton, who put it on steroids. So did Tony Blair, who, he reminds us, is like George Dubya, a war criminal. In addition to these comments, it struck me that one reason the Tories went berserk over this is because Channel 4 screened a real-life programme that was very, very much like this shortly before Labour’s landslide election in ’97. It was called ‘The Dinner Party’, or something similar, and featured a group of very middle class individuals sat round a dinner table, making stupid, ill-informed and bigoted comments about the lower orders. The Independent, if I recall correctly, reviewed it, and said that it almost made the Labour victory inevitable. Which is clearly what the Tories and their supporters are afraid of here. They’re also upset because they can’t refute it. It strikes too close to home. So all they can do is moan about how stereotypical it is, without offering any real evidence to refute it.